WE BELIEVE: That addiction care should be affordable to everyone, and while we aren’t a free treatment center, we have made the sponsorship fee for 90 days of in-house addiction care just $4,900 – A price many people can afford. Because of our heart felt desire to see you or your loved one get help as quickly as possible, our admissions team is authorized to assess and create a financing plan based on your needs. This allows you to get the help you or your loved one needs immediately… Because for us, this is a calling. It’s no accident that we provide resdiential treatment services at a fraction of the cost of other centers… It’s by design. Our Program is Heavily Subsidized by Providence Ministries. 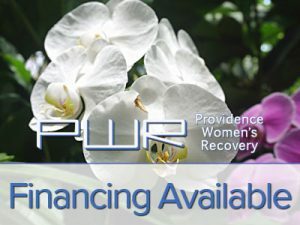 Because the Providence Women’s Addiction Recovery Center is heavily subsidized by sales from Providence Ministries Thrift Stores, as well as through the charitable contributions of our donors, sponsorship cost has been hugely reduced…a savings we pass directly to you because for us, this is a calling. 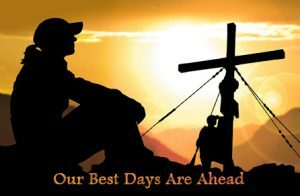 Are you seeking Men’s Christian Rehab? Click the Link. What we are offering is an opportunity many people will never have. A chance to give yourself a break and take 90 days in exchange for the rest of your life. To once and for all put an end to a life you know in your heart cannot continue the way it has. The end of the path of addiction is always prisons, institutions, and death, and the sad truth is that family and loved ones suffer just as much as anyone. To learn more about substance abuse visit Wikipedia and SAMHSA.